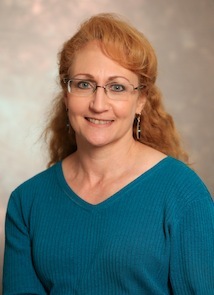 Jo Handelsman, Ph.D., Howard Hughes Medical Institute Professor, Department of Molecular, Cellular and Developmental Biology, Yale University, has been awarded the 2011 D.C. White Research and Mentoring Award. Recognizing distinguished accomplishments in interdisciplinary research and mentoring in microbiology, this award honors D.C. White, who was known for his interdisciplinary scientific approach and for being a dedicated and inspiring mentor. Dr. Handelsman received her Ph.D. in Molecular Biology at the University of Wisconsin-Madison, and later joined the faculty of the university's Department of Plant Pathology, later becoming Chair of the Department of Bacteriology. She recently joined the faculty of Yale's Department of Molecular, Cellular and Developmental Biology. Dr. Handelsman studies the genetic and functional diversity of microorganisms in soil and insect gut communities. Her lab concentrates on the discovery of novel antibiotics from cultured and uncultured bacteria and the role of antibiotics and other small molecules in robustness and communication in microbial communities. She has made profound contributions to the development of functional metagenomics (and even coined the term "metagenomics"), which facilitates the genomic analysis of assemblages of uncultured microorganisms through expression of their genes in a surrogate host. This work led to her co-chairing a panel for the National Academy of Sciences (NAS) that authored the 2007 report, "The New Science of Metagenomics: Revealing the Secrets of Our Microbial Planet." Her lab has also contributed to understanding mechanisms underlying polymicrobial diseases in caterpillars as well as the role of bacterial signaling in gut community function. "Professor Handelsman's impact as a role model and mentor is unprecedented," explains Jeffrey Gordon, Washington University School of Medicine, St. Louis. "Jo's brilliant intellect, the astonishing breadth and depth of her knowledge (which embraces multiple disciplines), her infectious enthusiasm, and her concern for the well-being of others inspires all of us who are lucky enough to know her." Nationally respected for her efforts to improve science education and increase the participation of women and minorities in science at the university level, Dr. Handelsman was one of twenty named to the inaugural class of HHMI Professors. In this role she developed a nationally recognized program that trains graduate students, postdocs, and faculty in the theory and practice of evidence-based teaching, initiating the field of "scientific teaching". She also co-founded the Women in Science and Engineering Leadership Institute at the University of Wisconsin-Madison, which has designed and evaluated interventions intended to enhance the participation of women in science. Her students hold her in high regard and look back on their time in her lab as a significant part of their growing experience. Courtney Robinson, a former student who is now at the University of Michigan, was a supporter of the nomination. In her letter she explained, "Jo's dedication to good and fruitful mentoring is a cornerstone of the training she provides. Jo fostered in me the idea of mentoring as a way of giving back to the community and diversifying microbiology... From Jo's example I have set an internal standard for myself and for others." Her leadership on the issue of women in science led to her appointment as the first president of the Rosalind Franklin Society and her service on the National Academies' panel that wrote the 2006 report, "Beyond Bias and Barriers: Fulfilling the Potential of Women in Academic Science and Engineering", which documented the issues of women in science and recommended changes to universities, professional societies, and federal funding agencies. Julian Davies, Academy Fellow from the University of British Columbia, stated in his nominating letter that "Jo is an outstanding mentor, teacher, and microbiological scientist," who "is very well respected for her efforts to improve communication between faculty and students." In addition to numerous scientific research publications, Dr. Handelsman is co-author of two books about teaching: Entering Mentoring and Scientific Teaching. She is an active volunteer in the field of microbiology, serving on many boards and committees, including serving as a National Academies Mentor in the Life Sciences, a Fellow in the American Academy of Microbiology, director of the Center for Scientific Teaching at Yale, co-director of the National Academies Summer Institute on Undergraduate Education in Biology, a National Associate of the National Research Council, and a Fellow in the American Association for the Advancement of Science. She also currently co-chairs a working group of the President's Council of Advisors on Science and Technology to make recommendations to President Obama's administration to strengthen science education at colleges and universities in the United States. Earlier in 2011, President Obama presented Dr. Handelsman with the Presidential Award for Excellence in Science, Mathematics, and Engineering Mentoring. Dr Handelsman presented "Language Metaphors in Marine Ecology" at the 111th General Meeting of the ASM. Microbial ecologists frequently use language metaphors because words have a simplicity, familiarity, and concreteness that help us conceptualize the abstraction and complexity of microbial ecology.